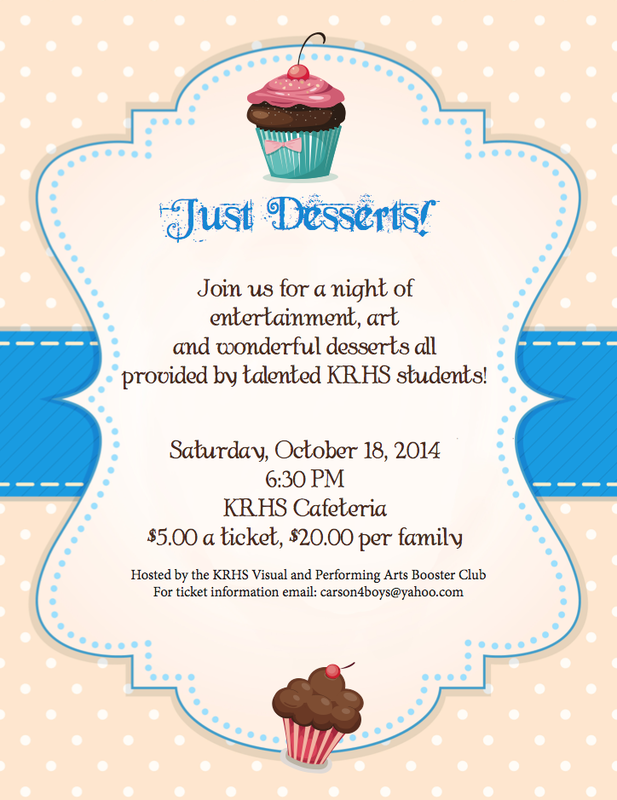 This Saturday night, October 18th, marks the inaugural event of the Kearsarge Visual and Performing Arts Club. Please consider joining us from 6:30-8:30 for an evening of music, dance, delicious desserts as well as raffles and a silent auction at the Kearsarge Regional High School Dining Area. Kearsarge students will be performing and will have prepared all the desserts. Acts include the Jazz Band, Men's Choir, Dance Team, sneak preview of the fall musical Dirty Rotten Scoundrels, and more. Tickets are only $5 (or $20 for a family of 4 or more). If you would like to attend or just want to donate to the Arts at Kearsarge, please use this link. Your tickets will be waiting for you at the door!